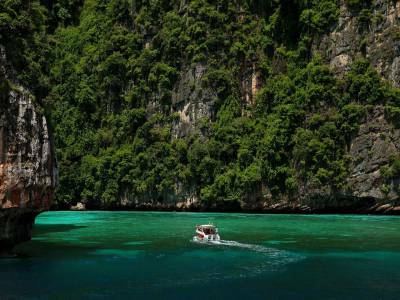 Phi Phi islands are a group of mesmerizing islands located between the west Strait of Malacca and the island of Phuket. These picture-perfect islands are the ultimate holiday destination for beach lovers. The Phi islands offer stunning shores with endless oceans and vibrant marine life having colourful corals and sea urchins which attracts tourists from all over the world. 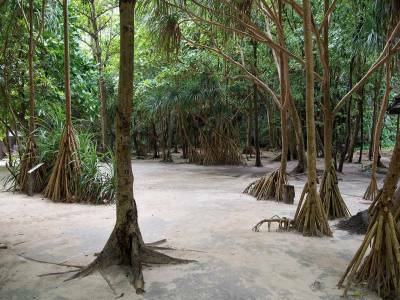 The Bamboo Island is a fascinating visit as it is replete with lush plantations of Bamboo and has great snorkelling as well as camping options at an hour’s distance by speedboat from Phuket. 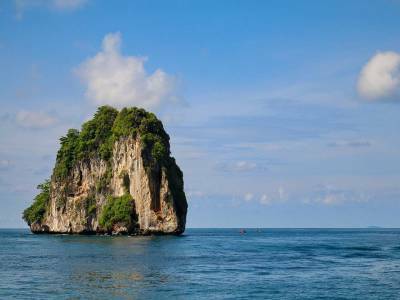 Other popular adrenaline-fuelled sports in Phi Phi include sea diving, rock climbing, and kayaking. The rocky beaches and white sands welcome a huge number of visitors as it serves as a perfect peaceful vacation from the chaos of everyday life. The most visited places in Phi Phi are Shark Point, famous for shark watching, Anemone Reef, for its breathtaking coral reefs and formations, and the Viking Cave which is situated at the foot of a limestone cliff with paintings carved on its walls by voyagers. 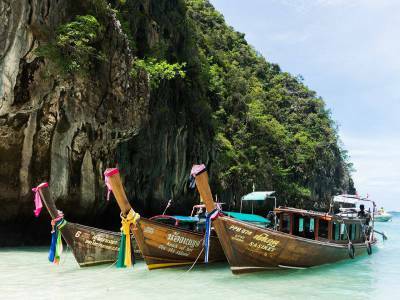 Another reason to visit the Phi Phi islands is its nonchalant yet exuberant nightlife. It is a place for party goers and adventurers alike with unlimited opportunities to explore in a rather secluded land. The energy and enthusiasm of the visitors in Phi Phi are unmatched. An uninterrupted service of delicious seafood snacks and drinks await the travellers. The trip is incomplete without a cruise ride. Most of the cruises feature scuba diving, fishing, monkey feeding, unlimited buffet and boozing. They also ensure safety and security of the tourists. A visit to these islands is sure to leave visitors enchanted. It provides innumerable experiences which are exhilarating and educational due to which these islands are considered an ideal location for family vacations as well romantic trips. 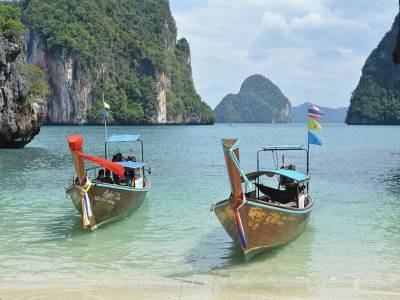 Get quick answers from travelers who visit to Phi Phi Island.